How to contest a Will: Get honest, professional guidance before you claim. Your Contested Probate Solicitor that you will be introduced to work on a NO WIN, NO FEE basis. Get Expert advice on how to Contest a Will. 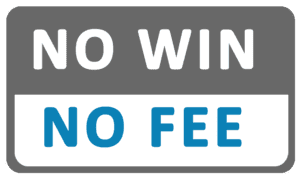 NO WIN NO FEE - "If you lose you pay us nothing"
inheritance claims specialist knowledge and experience is essential to make sure that your claim is pursued to your maximum benefit. To discover whether or not your case warrants further investigation, you should speak with one of our claims specialist. You ought also be aware that time limits for contesting a will do apply, so if you are unsure about your inheritance claims you should not excessively delay. Contact us as early as possible. 1. We take pride in the service that we provide and hope that you will be entirely satisfied at all times. If however you find that you are required to complain then a complaint can be made by letter, e-mail, fax, telephone, in person or in any other form. 2. We reserve the right to decline to consider a complaint that is made more than six months after you became aware of the cause of the complaint. There may be instances where we will waive this requirement at our discretion. We will confirm to you in writing if a complaint has been made outside the time limit that we are prepared to consider. 3. We will send you a written or electronic acknowledgement of a complaint within five business days of receipt, identifying the person who will be handing the complaint for the business. If possible, that person will not have been directly involved in the matter which is the subject of the complaint, and will have authority to settle the complaint. b) a holding response which explains why we are not yet in a position to resolve the complaint and indicates when we will make further contact with you. 6. Where we decide that redress is appropriate, we will provide you with fair compensation for any acts or omissions for which we are responsible and will comply with any offer of redress which we offer to you and which you accept. Appropriate redress will not always involve financial redress. 7. This website is operated by Going Legal Limited (“Going Legal”) whose address is 2nd Floor, Albion Wharf, Albion Street, Manchester M1 5LN and whose Company Registration Number is 3785951. Going Legal is regulated by the Claims Management Regulator in respect of regulated claims management activities (Authorisation Number: CRM19983). Going Legal is not a solicitors practice. Copyright © 2014 - 2017 Going Legal Ltd. All rights reserved. This website is one of the UK's largest Wills and Probate No Win No Fee support centres. It is operated by Going Legal Ltd. The UK Registered company number 3785951. Going Legal is not a solicitors practice. Going Legal Ltd is regulated by the Claims Management Regulator in respect of regulated claims management activities (Authorisation Number: CRM19983). The legal services on this site are provided by selected Solicitors and law firms that are registered with the law society and regulated by the Solicitors Regulation Authority to whom you will be introduced if your claim has sufficient merit.